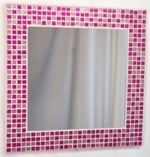 It is made from 288 tiles in 2 colours, with a nominal size of 25cm wide x 25cm high (approx 10 x 10 inches) and a 15cm x 15cm mirror. 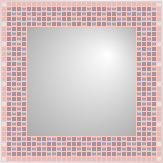 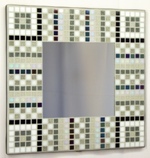 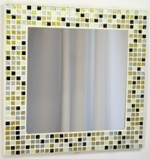 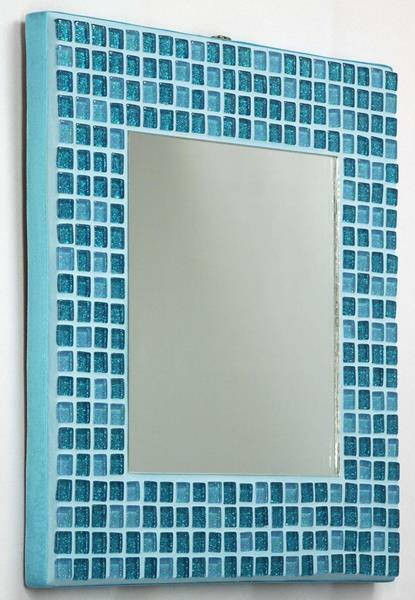 This photo shows the Turquoise Glitter 25cm Mosaic Mirror, in the Satin Edged format for wall hanging. 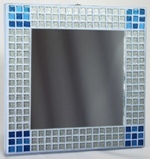 This photo shows a side view of the Turquoise Glitter 25cm Mosaic Mirror in the Satin Edged format. 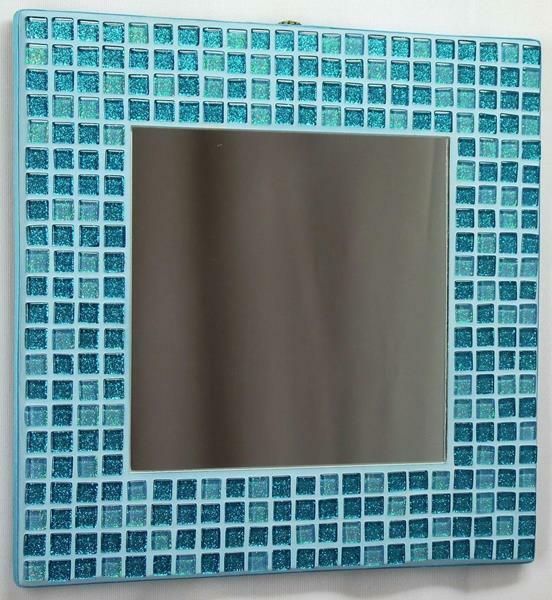 Turquoise Cyan glitter tiles mixed with a lighter Turquoise glitter tile (cyan with slightly green tinged glitter), with a cyan grout. 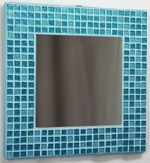 Satin Edge colour: Deep Cyan. 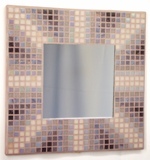 Overall Size: 256mm x 256mm x 23mm approx. 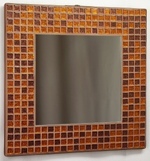 Overall Size: 256mm x 256mm x 29mm approx (with stand closed).